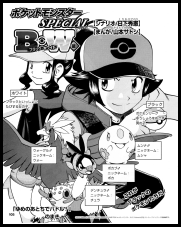 The cover for this volume is a colorized version of the title page to the chapter printed in Issue 15 of Pokemon Fan. 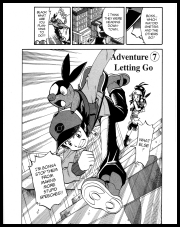 The Pokemon Fan chapter was later printed as "Battle for the Dreamyard" (Volume Four, Adventure 11). Adventure 5 - "Lights, Camera...Action!" 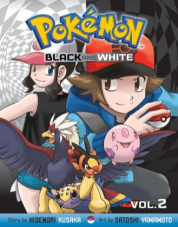 White is a young employee of the BW Agency who is in charge of finding whatever pokemon her clients need for their films and delivering them to the set. While going over the day's work with her current client, the two of them notice Black in the background of one of their shots. As the assistant director tells him to get out of the way, White finds out that the director of this commercial had requested two Pokabu, not just one! Suddenly, members of the film crew start to lose consciousness! Everyone immediately blames Black since he's the only person they don't know, forcing the young trainer to begin work on clearing his name. He eventually discovers that a trap set by a wild Dentula is to blame! At the end of the ensuing battle, Pokabu produces a fire attack that fries both Dentula and all the filmmaker's expensive camera equipment! After apologizing to the film crew, White tells Black that he's going to become her employee and work until he's finished paying off his debt. Off in the distance, a young man watches the young trainers and cries as he sees pokemon being exploited by humans. White's Pokabu is nicknamed Bubu-chan (ぶぶちゃん) in the Japanese version. 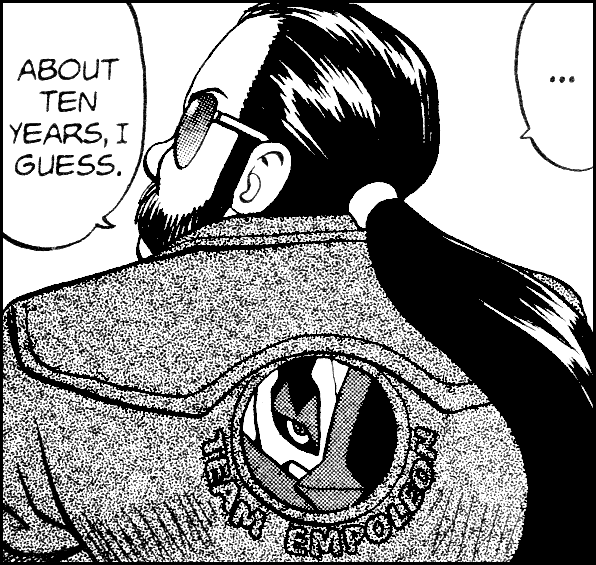 This gets changed to "Gigi" in the English version. 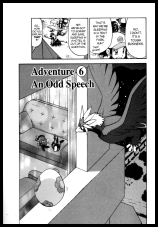 Adventure 6 - "An Odd Speech"
Black and White's Pokabu have just finished their first shoot together! After White thanks Black for lending her his pokemon, she explains how he still has quite a way to go before he's finished paying off the camera equipment destroyed in the incident with the wild Dentula. Before going to bed for the night, she gives Black a free Live Caster she received from her previous client. Suddenly, the area where the two had pitched a tent comes under attack! Black uses Musha to determine that the attackers are a group of Dokkora using giant wooden beams to makes holes in the ground. At that moment, two members of a group known as the Plasma-Dan appear and take responsibility for the pokemon's actions. They explain that they have a permit to build a stage in the area and offer to help the two move to another location. The next day, a member of the Plasma-Dan named G'Cis takes the stage. 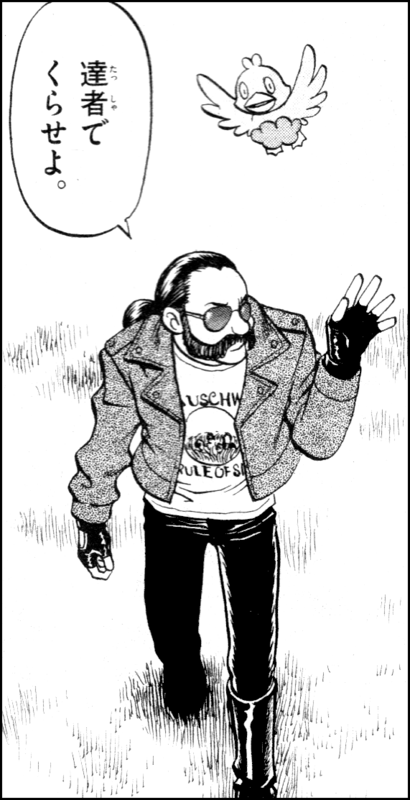 He delivers a speech telling the people of Karakusa Town to "liberate their pokemon" and to stop treating them as if they're tools. When the speech is over, the townspeople actually do what he says and start releasing their pokemon. Adventure 7 - "Letting Go"
Black is shocked to see that so many trainers have been convinced by G'Cis' lecture and are actually releasing their pokemon! He runs off to put a stop to their speeches, forcing White to chase after him. On the way, Black reveals that he captured the Dentula that was causing havoc at the production shoot the other day. Based on the way the pokemon acts, he guesses that it, too, was abandoned by its trainer after hearing the Plasma-Dan's speech. White separates from Black to check in with her boss and finds out that their potential client decided to go with another agency instead. As White curses herself for not putting her career before Black, she begins to think about how little she actually knows about him. When she catches up with her employee, she finds him in the middle of a pokemon battle! Black's opponent is a young man who had suddenly attacked him for not being able to "hear" his pokemon. Black prepares his Wargle to face off against the trainer's team of Choroneko, Mamepato, Otamaro, and Dotekkotsu. Elsewhere, G'Cis, surrounded by members of the Plasma-Dan, is told that their "king" is fighting a young trainer in Karakusa Town. Page 53, Panels Two and Four: The writing on the biker's shirt has been removed while the text on the back of his jacket has been changed from "God Speed You" to "Team Empoleon." Click on each image for a larger version. 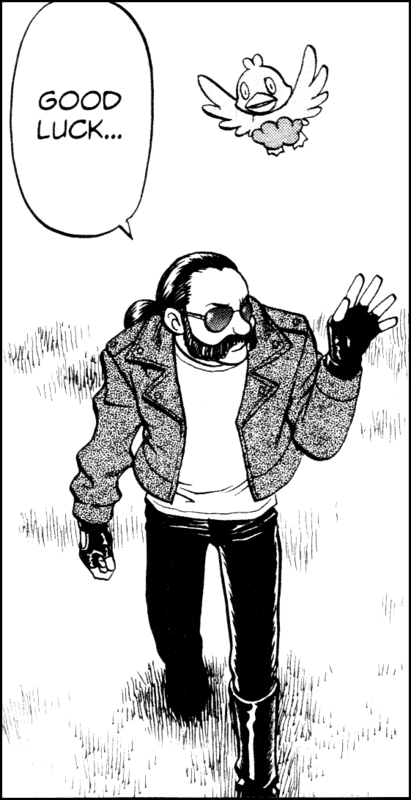 Page 54, Panel Two: When Black asks the bicycle trainer if he's really going to abandon his Pokémon, he tells him to "M.Y.O.B., kid." In the Japanese version, he says Uruseezo!! Gaki!! (うるせえぞ！！ガキ！！), or "Shut up, kid!" Page 55, Panel One: In the English version, Black asks "Boss...which way did Ghetsis and the others go?" The original line is Shachou....... Enzetsu shiteta renchuu, doko itta? (社長……。演説してた連中、どこ行った？), or "Boss...which way did that group that gave that speech go?" As you can see, Black doesn't mention the group's leader by name in the Japanese version. 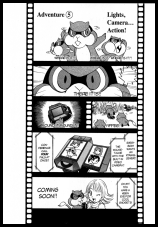 Page 59, Panel Three: When White sees Black's new Pokémon, she asks "The Galvantula from the film set two days ago?" In the Japanese version, she doesn't make any reference to how long ago the attack occurred.